Fully Automatic Change C Section Purlin Machine is used to make c chanel purlin or z section purlin for steel structure. C and Z Section steel purlins are widely used for the modern steel industrial buildings, and some residential building as well, and now C/Z Purlin Roll Forming machines have been developed to produce C/Z/U steel purlins. Our cz section purlin machine can make c section purlin and z section purlin both.It is more cost effective than 2 machines.Also it is very easy to change from c purlin to z purlin.Automatic changing sizes ,and punching after forming.Plc control,easy to operate.It is composed of single arm decoiler,material feeding,material levelling part,main forming part,auto punching,automatic hydraulic guillotine. Usage: Passive uncoil pulled by roll forming system, support the steel coil and uncoil it in a turntable way. Usage: In order to keep the product shape and precision, adopts welded sheet structure, motor reducer drive, gear transmission( the first and the last roller, the down roller should be attached with the upper one with the gear drive. ), roller surfaces polishing, hard plating , heat treatment and galvanizational treatment . The polished surface and the heat treatment towards the molds also can keep the molding plate surface smooth and not easy to be marked when it is being stamped. Feature: Automatic cutting controlled by PLC. Ensure stability, precision and cutting speed. It adopts the hydraulic drive and automatic location to decide the dimension and cut the target products. It contains one set of cutting tools, one hydraulic tank and one cutter machine. Hydraulic station is controlled by gear wheel oil pump. After filling the hydraulic oil into the hydraulic oil tank ,the pump drive the cutter machine to begin the cutting job. The system includes a set of hydraulic tank , a set of hydraulic oil pump, two hydraulic pipes and two sets of electromagnetism valves. 1. Adopted PLC , transducer, touch panel from Delta Taiwan to ensure high speed with stability, precision and lifetime. 2. Other electric element are Delta. 3. Equipped with movable switch , air break, radiator, transformer & electric leakage protector for operation convenience and safety. Looking for ideal C Section Machine Manufacturer & supplier ? We have a wide selection at great prices to help you get creative. 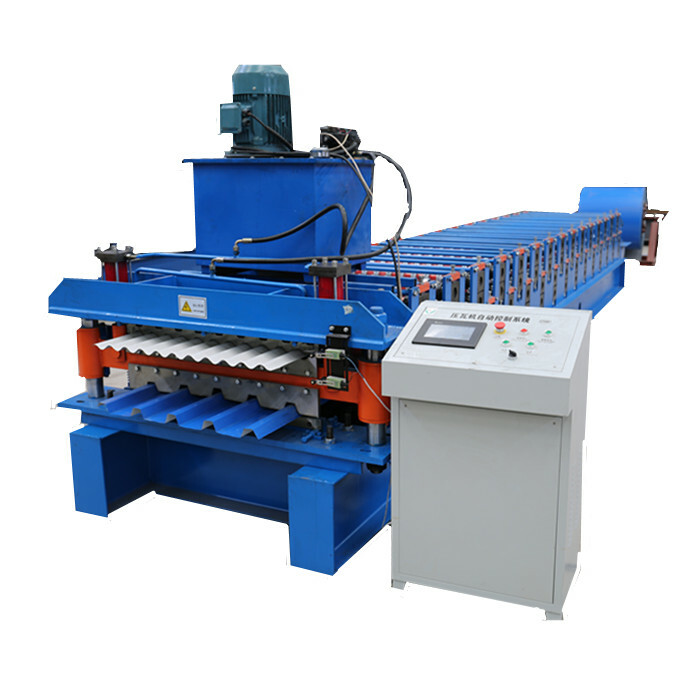 All the Automatic Change C Section Purlin Machine are quality guaranteed. We are China Origin Factory of C Purlin Machine. If you have any question, please feel free to contact us.